Structures are built indoors & materials are protected from weather on site, which reduces the risk of warping, mold and moisture problems. This creates healthier living conditions and clean, non-toxic air. Quality Engineering and factory construction significantly reduces material waste & allows for recycling of materials. Structures are delivered 80% complete which minimizes environmental impact & site disruption. Tightly constructed & sealed building envelope maximizes energy efficiency, improves air quality & reduces the amount of carbons released into our environment. Since all production takes place in a climate controlled facility, there is no rush to put on the exterior sheathing. All through wall penetrations can be tightly sealed from the outside and inspected before the house is closed in. Many municipalities (Including the Town of Southampton and town of East Hampton) require new homes to achieve a specified HERS Index Rating. Our homes often meet these requirements without expensive insulating materials that site built homes MUST employ to meet them. That means that we are achieving the same level of energy efficiencies with traditional building materials, while stick builders must resort to other means. We can build LEED, NAHB, OR ENERGY STAR rated homes and with modular construction your home is already off to a good start. Check out the Green Building Programs to the right for more detailed information. 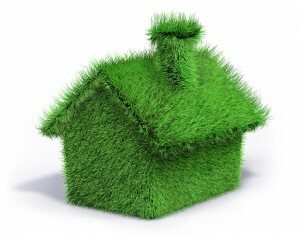 We can guide you through the pros and cons of the numerous “green” certifications, products and systems available.